Last week, I took the pledge and became an official member of the Mamavation Sistahood. 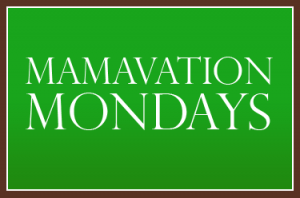 If you're not familiar with it, Mamavation is an online community dedicated to obesity prevention and weight loss for women. If you need motivation and camaraderie to help you on your journey, I highly suggest you check them out– I'm really impressed with how many different social networks I am now receiving encouragement and advice across! That being said, it has been a lackluster week in my quest for healthier living. As I mentioned before, my personal training sessions lapsed and it was also the kids' last week of vacation. We did some serious room cleaning/organization and I didn't exercise as much as I should have. I'm looking forward to getting back on track this week, now that they're back in school. On a brighter note, I signed up for a paleo diet meal planning service and also helped my friends at Diets in Review taste test three different delivery diet freezer meals. (I'll just say that if you can cook at all, you are way better off making your own food from fresh ingredients. Trust me.) I made green smoothies with Greek yogurt and both kids loved them. I made a cheat sheet of weight lifting reps to take to the gym with me. I think I'm headed in the right direction. I think cleaning is definitely exercising... you will rock it at the gym!! Green smoothie huh? If the kids liked it then it must have been good. Love good and healthy things!! You go girl! It's hard to stay in a routine when the kids are home. I get that. Paleo sounds interesting!